“A pain in the neck” is a common phrase for good reason -- pretty much everyone can relate. Whiplash is a particularly excruciating type of neck pain, but one that can be treated successfully. Dr. Casey Walker and the team at Core Medical Centers in Lowell, Indiana, are experienced in diagnosing and treating whiplash. Book an appointment today, and get rid of the pain in your neck. Although whiplash is frequently associated with automobile accidents, any impact that causes your head to jerk backward and forward can result in whiplash. Technically, whiplash is an injury to the soft tissue of the neck and may be either a strain or a sprain. Symptoms may appear immediately following the injury, or several hours or even days later. Whiplash causes stiffness, headache, dizziness, pain that worsens with movement, limited range of motion, pain in the shoulders, back, or arms, and other symptoms. In addition to those physical symptoms, some people with whiplash also experience depression, sleep disruptions, irritability, and problems concentrating or remembering. Depending on the treatment and injury, whiplash may take several months to heal. Getting an evaluation by Dr. Walker and the team is critical for the fastest recovery possible. What treatments are available for whiplash? In addition to actions you can take at home, chiropractic adjustments, massage therapy, or physical therapy may be beneficial. Lack of appropriate treatment could lead to chronic neck pain. What can I expect during whiplash treatment? Chiropractic adjustments for whiplash are generally gentle, and may include the flexion-distraction technique or specific spinal manipulation in order to stretch the soft tissue surrounding individual joints in the neck. 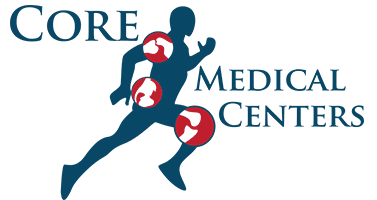 If Dr. Walker and the team suggest physical therapy, you’ll most likely begin with passive therapies such as the application of heat or ice, and then progress to active therapies, such as exercises to improve strength and range of motion during recovery. Because your neck is unique, Dr. Walker and the team create a treatment plan designed for your situation. In most cases, he discusses your specific injury and helps you understand what to do for the fastest possible recovery. A study published in The Lancet in 2014, found that education and advice from a therapist can be as effective as an exercise program. Massage therapy can be an effective treatment for whiplash as well. Massage can help the strained muscles of the neck relax, as well as improve circulation and promote relaxation overall. Specific techniques, like trigger point therapy, may be appropriate.